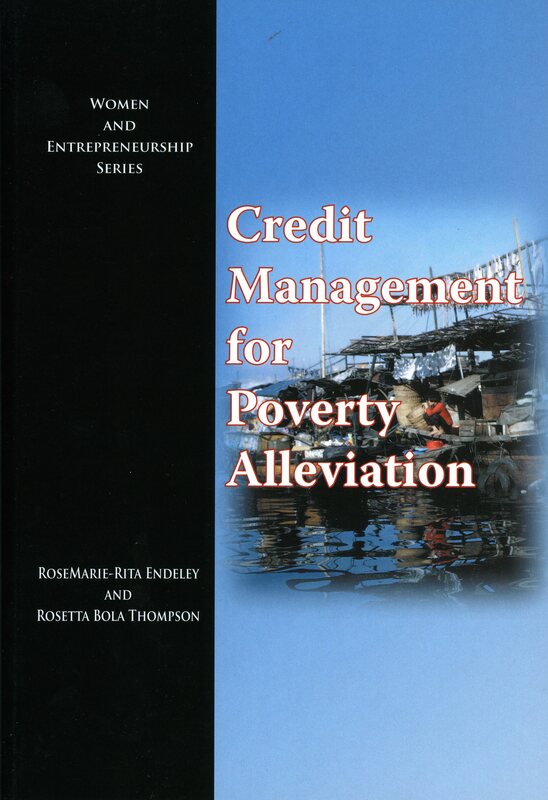 Credit Management for Poverty Alleviation centres on poverty endured by women in developing countries and how this can be alleviated. According to the United Nations Development Fund for Women, of the absolute poor today, over seventy per cent are women. Women earn only ten per cent of the world’s income and own less than ten per cent of the world’s property. This publication focuses on the need for smaller enterprises to more effectively reduce poverty and the hardships placed on women in developing countries and therefore help in the part-realisation of the millennium development goals. This publication is divided in to two parts. The first half focuses on thematic perspectives and ideas, offering models of credit management for poverty alleviation and financial analysis of credit projects, their viability and suitability. The second half offers different perspectives from nineteen countries in Commonwealth Africa in order that they may provide valuable examples of poverty alleviation under very different circumstances. This publication discusses the justification and vital need for access to credit and effective credit schemes that are sustainable for the disadvantaged woman especially those in sparsely populated areas.